Coach Cipoletta Has Final ‘Coaches Show’ of the Season and is Already Thinking About Next Year. Wildcats Basketball Coach Clark Cipoletta made his final visit of the season on KSST Radio and Cable Channel 18’s Saturday Morning Coaches Show last Saturday (March 16). He said he would be losing some very talented seniors off of this year’s team. Coach Cipoletta talked about the amazing offense of Keaston Willis and the incredible defense from Jeremiah Roland. He said big center Xavier Cork surprised him with his shot blocking this season. The fourth senior was accurate three point shooting Seddrick Deuce Berry II. Coach Cipoletta said he had some young guys that make him excited about the Wildcats future. He said he had strong sophomore and freshmen classes this season. Coach Cipoletta said two big guys, 6-foot-5 Sadaidriene Day Day Hall and 6-foot-6 Cameron Kahn would be returning. He said he expected 6-foot-5 Kai Taylor to blossom next season. He is also excited by 6-foot-5 freshman Justin Haire. Two varsity sophomores also return: Boo Wilkerson, the district Newcomer of the Year, and Lamodrick Johnson, who Coach Cipoletta said was the best passer on this year’s team. Grayson McClure, an excellent three point shooter, will also return. Coach Cipoletta said McClure has a goal of attempting 100,000 shots this summer. Coach Cipoletta said he told McClure if he shoots for the sky and he might hit some stars. Coach Cipoletta said he gave his players a week off after their San Antonio trip to state. Still on Monday morning of that week, he found five players in the gym working on their shots. 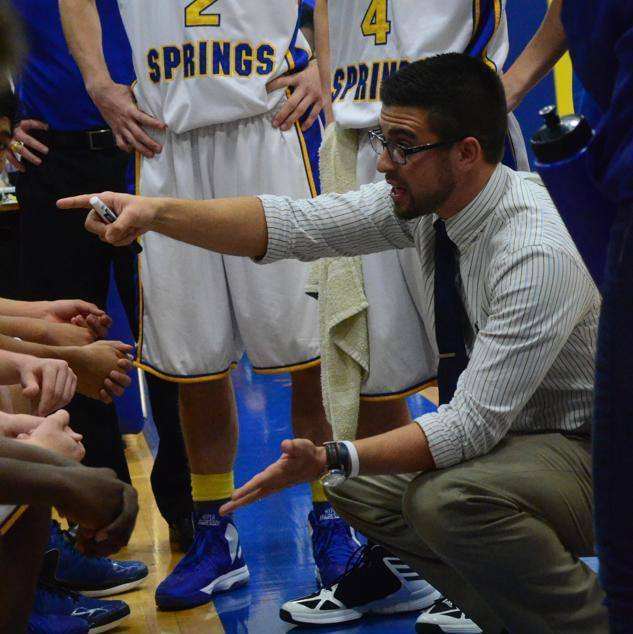 Coach Cipoletta said that kind of dedication would keep Sulphur Springs at the top. He said his favorite moment was making it to state and watching the faces of the Wildcats as they enjoyed the moment. Coach Cipoletta said he would continue to test the Wildcats in big time tournaments next year. He said they have been invited back to the Whataburger Tournament, the Mansfield Tournament and to the Cowtown Showdown. Coach Cipoletta said some of the Class 6A teams did not want to play the Wildcats. In reflecting on the season ending loss to San Antonio Wagner in the State Semi-final, Coach Cipoletta said he didn’t think his team gave Wagner their best game. He said the Wildcats got down early and spent the entire game fighting to catch up. Coach Cipoletta said the Wildcats ended up playing Wagner’s style of basketball. Still he said he was proud of his team and of their season. He said the loss made him want to return to state. Coach Cipoletta ended by thanking all the fans who followed the Wildcats all season long.